To provide safe, decent, affordable housing for eligible residents of the City of Orange. To provide affordable housing that is in good repair, to be stewards of public funds and trust, and to serve all customers with respect. The Section 8 Program was enacted as part of the Housing and Community Development Act of 1974, which re-codified the U.S. Housing Act of 1937. The Act has been amended from time to time, and its requirements, as they apply to the Section 8 Tenant-Based Assistance Program, is described in and implemented throughout this Administrative Plan. 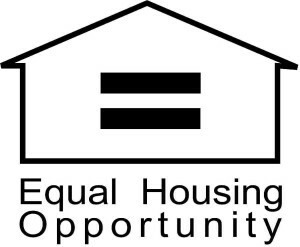 The Section 8 rental assistance programs are federally funded and administered for the City of Orange by the Housing Authority of the City of Orange through its Section 8 housing office. Administration of the Section 8 Program and the functions and responsibilities of the Housing Authority (PHA) staff shall be in compliance with the PHA’s Personnel Policy and the Department of Housing and Urban Development’s (HUD) Section 8 Regulations as well as all Federal, State and local Fair Housing Laws and Regulations. Step 1: Agency opens waiting list. Agency will determine the number of applications they will place on their active waiting list. Agency’s administrative plan will determine preferences for waiting list. Criminal screening is performed on each household member 18 years of age and older. If the family is determined to be ineligible for assistance, written notification is sent to the applicant indicating the reason (s) for denial of participation. The family may have the opportunity to appeal the decision by requesting an informal hearing. If the family disagrees with the outcome of the informal hearing, they may, at their own cost pursue the matter to a higher appellate court. When a family is determined to be eligible for the program and funding is available, the Housing Authority issues them a Housing Choice Voucher. The family receives the Voucher at the tenant briefing. Voucher briefings detail program rules and regulations. Tools and information on how to secure an eligible unit under the Housing Choice Program are given to the family to assist them in their search for eligible housing. One on one consultation is given to explain the tenant portions and maximum rent allowed under program guidelines. A family must locate a housing unit that meets the program rules. That can be where they live right now or a totally different unit. The Agency can help in some ways, but the primary responsibility for finding a suitable unit to rent is the family’s. A family has 60 days to locate a suitable unit. Depending on the Agency’s policy, they may extend the search period. During the family’s search, they may be required to provide proof of their housing search. Even though a family is determined by the Agency to be eligible for the program, the owner must approve the family as a suitable renter. The is notified that the owner has approved the family when a Request for Approval of Tenancy form is submitted. to determine if the unit qualifies for the Section 8 Program. This includes a Housing Quality Standards inspection. Submitting the Request for Tenancy Approval does not guarantee an approvable lease up. If the landlord is not in compliance with the program or if there are reasons the Request for Tenancy cannot be approved, the Agency will notify both the applicant and the owner the reasons the unit cannot be approved. If the issues have been resolved, the Agency may continue the lease up process. will enter into a lease with the owner. Both the Contract and the lease must be executed before payments are released to any owner. After the HAP Contract and lease are signed, the Agency makes the initial HAP payment and continues to make monthly payments to the owner as long as the family continues to meet eligibility criteria and the housing unit qualifies under the program.